How service oriented are we? 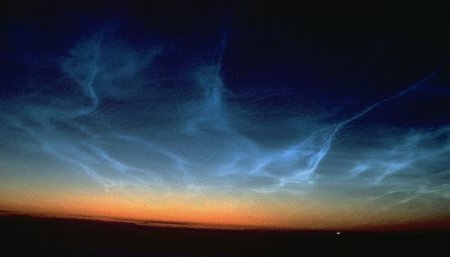 Are we capable of managing a variety of clouds? Do we have an information strategy? Do we have a cloud governance strategy? How is policy management across our clouds addressed? Read more to find out the answers to these questions. Adoption of cloud computing has reached a tipping point - but don’t expect legacy systems to disappear for at least two more decades according to Paul Daugherty, chief technology architect of Accenture. Speaking at the SuiteWorld conference in San Francisco Mr Daugherty said that Accenture, which is a systems integration partner with NetSuite, has now completed 1,700 cloud projects. “We initially saw interest in solving very specific issues. Now there are broader roadmaps for cloud,” he said. The knock on Amazon Web Services and other IaaS (infrastructure as a service) providers is that they're not reliable enough for enterprise-class workloads. And even with recent price drops, it's cheaper over the long haul to buy and run your own infrastructure. I'm not going to attempt any in-depth cost comparisons since so much depends on the workloads in question and granular provider pricing for various sevices. But I'm pretty convinced that reliability concerns about cloud computing are going the way of cloud security worries: If you know what you're doing, in most cases the public cloud is probably at parity or better with the risk posed by your own infrastructure (ultrahardened, mission-critical workloads excepted). Cloud computing, put broadly, is a term used to describe any service available on the internet. More specifically, cloud computing refers to a hosting environment that leverages pooled computing resources by way of virtualization. Cloud computing takes existing physical servers and creates virtualized servers to exist on top of them. The virtual servers leverage the computing power of the entire infrastructure without necessarily being dependent on any given hardware. This makes the servers more powerful and more reliable. We hope these short sum-ups on Cloud Computing are helping you to take a knowledgeable approach towards moving to the cloud. Stay tuned for more sum-ups on in the forthcoming week.